Question: What do a French beggar-saint, a burned-down Boston convent, and County Limerick, Ireland, all have in common? Answer: The subject of this article, the first “Yankee Priest,” Father John Thayer. Being the scion of Puritan settlers of New England, John Thayer was a Yankee in the strictest possible use of that term. (To my compatriots in Dixie: Not all who live north of the Mason-Dixon line are regarded as Yankees in these parts.) Born in 1755 to stern Boston stock, he went to Yale and became a Congregationalist minister, inheriting all the visceral anti-Catholicism one would expect from this background. A patriot from the early days of the Republic, he served as chaplain to a Revolutionary War military company, under John Hancock’s command, which defended Boston. Europe and the Faith. In order to broaden his horizons and learn something of the languages and culture of the Old World, he traveled to Europe. In 1781, he found himself in France, where he became seriously ill. As he says it, his “first concern was to forbid, that any Catholick Priest should be suffered to come near me, such was my attachment to my own sect.” In Italy, he became acquainted with a Jesuit who was able to undo many of his prejudices. For the first time, he began to see an admirable cohesion to the ancient religion, something in stark relief to the sectarian divisions spawned by the Reformation. While he was in Rome, an important thing happened: a beggar dropped dead of exhaustion. This was not just any beggar, though, but Saint Joseph Benedict Labre , the French holy man who moved to the Eternal City to live as a poor, penitential pilgrim. His death was April 16,1783. From that date until July 6, 1783, no less than 136 miraculous cures were certified and credited to the recently-deceased. Some of these, at least, resulted from the relics of the beggar’s clothing. Reverend Thayer scoffed at the superstition of it all. Setting out to investigate, he found himself convinced by the evidence. This was providential, for, in his words, “of all my prejudices against Catholicks, the deepest rooted was a formal disbelief of the miraculous facts which are said to have happened among them…”. On May 25 of that same year, John Thayer renounced his heresies and embraced the Catholic religion, in the very seat of “Popery” itself: Rome. Ordination. Back home, Benjamin Franklin and Noah Webster both scoffed at Thayer’s conversion. No matter, our man was soon off to Paris to spend a year of study at the College of Navarre before entering the Seminary of St. Sulpice, where he impressed both the faculty and students with his sincerity, studiousness, and genuine zeal for his newfound Faith. He was ordained on the ember Saturday of Pentecost, 1787, and would offer his first Mass the next day, Trinity Sunday. What did this Account have to say on the all-important question of salvation? Here we have a convert from Congregationalism expressing his desire to work as a missionary priest for the conversion of America — to that Church outside of which there is no salvation. Let us not pass over this fact without relishing it. Not only did the Spaniards, from the time of Columbus, wish to convert the New World to the true Faith; not only did the French want to claim all the inhabitants of La Nouvelle France for Our Lord’s Church; but here we also have that same desire articulated by an Anglo-American son of the Republic, the progeny of the very people who opposed the French and the Spanish in their salutary aim. Indeed, the conversion of America to Catholicism is an idea with deep roots! London. When he finally returned to America, in December of 1789, it was after working for a little less than three years among the poor in the Southwark district of London. There, he had converted “thirty-six heretics” to the Faith. When Thayer arrived back at Baltimore, Bishop Carroll assigned the Bostonian to return to his native city, where a terrible mess awaited him. A bit contentious and a bit odd. Depending on who says it and why, those badges can be pinned on a large percentage of the Church’s canonized saints. The Boston Catholic community in those days was minuscule. The congregation consisted of one American, four Frenchmen, and about twenty poor Irish. The one Catholic church was French inasmuch as a clever priest procured the erstwhile unoccupied building, originally a Huguenot sanctuary, on the grounds that the church’s deed reserved it as a house of worship for Frenchmen. Popery or no, the Abbé Claude Florent Bouchard de la Poterie was French, as his name would suggest; so he got the church and fitted it for Catholic worship. There was a problem. The priest with the noble French name was not noble, neither in lineage nor in character, and his messy past in France caught up with him. Then Father Carroll, prefect apostolic1 of the Church in the United States, was forced to suspend him and ask him to leave, which he did after a while. As a replacement, Boston was sent Father Louis de Rousselet, who, it turns out, was also suspended of his priestly faculties in France. Among other fiascoes, there was a scandalous clash during Christmas of 1789 between the partisans of these two priests. The scandal was all the more serious inasmuch as it was known to Boston’s Protestant populace. Into this mess came the young Father Thayer, a bit contentious and a bit odd. Vagus Priests. It should be noted that suspended priests were not terribly uncommon in America at that time. In those dark days before the Internet, people could hide more easily. What better way for a priest who had gotten himself in trouble somewhere to start anew, in a place where priests were genuinely needed, by making a show of zeal for souls? Besides that, America’s notable scarcity of bishops made hiding from ecclesiastical authority all the easier in the land of the free. (This would lead to serious difficulties when at last a hierarchy did come into existence.) These rebels, a few genuine foreign missionaries, and a dozen or so ex-Jesuits2 , mostly old, were the auspicious beginning to the Catholic priesthood in this country. Bishop Carroll did not have very much to work with. What with fighting his own curate and being under fire in the papers (“John Turncoat” he was called by one former coreligionist), Father Thayer felt a bit hobbled in this efforts to convert New England. He requested and received permission to go to Virginia, passing the Boston Church into the capable hands of Father Matignon, a refugee from the Terror in France, who was apparently much better suited to parish ministry. Dixieland. Alexandria, Virginia, saw little of the Yankee priest after he arrived in 1799, for he was soon off to Kentucky as a missionary. There, he made a name for himself as a Catholic voice against slavery. His travels in the Southland were short-lived, however, for in less than four years he was off again to Europe, nevermore to return to these shores. Father John Floyd. Meanwhile, Father Thayer’s work in England had borne fruit for America. In 1795, Bishop Carroll ordained John Floyd, an Englishman who converted by reading Thayer’s conversion story, and who, by his advice, entered the seminary of St. Sulpice in Paris. He was transferred to Saint Mary’s in Baltimore, where his priestly formation was completed. After a zealous apostolate of only two years among the poorest of the poor in Baltimore, he was taken by the Yellow Fever — a victim to his own charity as he knowingly exposed himself to the contagion by administering the last sacraments to someone dying of it. The Emerald Isle. In his last European tour, Father Thayer visited London, La Trappe (France), and Dublin. At last, in 1811, he settled down in County Limerick, Ireland, where he lived the life of an ascetic and had, in Monsignor Paradis’ account, “a vast number of penitents” who came to him for confession and spiritual direction. Included among these was Mr. James Ryan, a cloth merchant, and several of his daughters. Whatever his reasons, Father Thayer wanted an Ursuline convent in Boston, one that would run an academy for girls. It was in large measure to raise funds for this new venture that he had come to Europe. So passionate was he in speaking of his dream, that two of the Ryan girls each separately resolved that they would join this new venture. 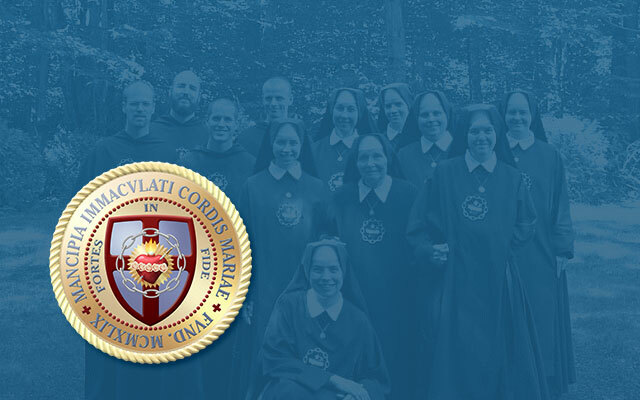 They would be sent to Trois Rivièrs, Canada, to be trained in the Ursuline convent there, whence they would be sent to found the new house in Boston. While in Trois Rivièrs, they would be joined by a younger sister and a cousin. The Ryan family were very generous in the matter of vocations. All the arrangements were made, and Father Thayer would himself accompany these good Irish girls to Canada, where they would be trained for their mission to Boston — his mission to Boston. He fell ill, though, and realized he could not make the passage. He bequeathed his personal fortune — a sizable one — to Father Matignon, his replacement in Boston, with the proviso that it be used to fund the projected Ursuline convent and academy. In the meantime (1808), Boston had gotten a bishop of its own, another aristocratic Frenchman fleeing the Revolution and a one-time seminary student of Father Matignon’s, Bishop Jean-Louis Anne Madelain Lefebvre de Cheverus. The French clerics did their part well: after the religious formation of the Ryan girls, Charlestown’s Ursuline convent of Mount Saint Benedict was founded in 1826. But the Boston convert would see none of this. In 1815, Reverend Mister John Thayer, a bit contentious and a bit odd, died in County Limerick, Ireland. Would that I could say his dream of a Boston convent lived on. The convent had a famously brief history. As many readers no doubt know, this is the convent that was burned down in 1834 by a mob “incited by Lyman Beecher and whiskey” in the words of Daniel Sargent. There are many accounts of this tragic episode one can read, including the book, Fire and Roses , by Nancy Lusignan Schultz. If Father Thayer’s convent dream would go up in flames, other convents would come to take its place eventually. And his big dream would remain, for Boston produced one other notable convert and one other notable priest who shared his dream to convert all of America to that Church outside of which there is no salvation. May their dream be kindled into a burning and consuming fire! 1 John Carroll was not consecrated bishop until August 15, 1790. While it would be more than a hundred years before Leo XIII condemned Americanism as a heresy, Bishop Carroll already seemed to desire “the Church in America to be different from what it is in the rest of the world” (Leo’s words in Testem Benevolentiae ). Carroll agitated for a vernacular liturgy, bishops elected by their people (no “foreign” appointments from Rome), and a pope with little practical authority over the Church. He also crossed the Bishop of Quebec, the saintly Bishop Briand, by escorting Benjamin Franklin there on an anti-English embassy that failed. (Recall that our Puritan forefathers had seriously offended the Catholic Québécois by declaring England’s toleration of the Faith there to be an “intolerable act”!) Perhaps most damning of Carroll’s integrity as an ecclesiastic is this fact, related in the New Catholic Encyclopedia , Volume 6: “The papal condemnations of Freemasonry were not promulgated in the American colonies by Bishop John Carroll. In fact his brother Daniel was an active Mason and a practicing Catholic. Bishop Carroll wrote to a layman in 1794 regarding the lodge question: ‘I do not pretend that these decrees (against Freemasonry) are received generally by the Church, or have full authority in this diocese. '” Thus was established, early on, the American tradition of ignoring Roman decrees. 2 The Society of Jesus was suppressed from 1773 to 1814.